Maintaining a garden can be relaxing and fun, or it can be a colossal pain in the bum. It honestly comes down to the tools you have on hand. 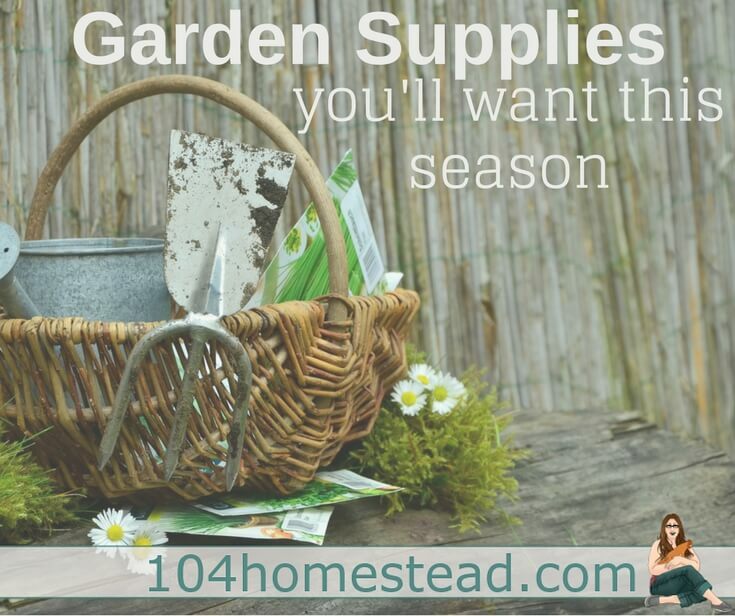 Having high quality garden supplies (and keeping them in good working order) will make the season a lot easier and more enjoyable. Having said that, there are a lot of garden supplies you really don’t need. Sure, they’re nice to have on hand, but really they’re just one-hit-wonders that take up space in your garden shed. Save your money and your space unless you have an abundance of one or both. There are a few things to consider when choosing a shovel or spade. The size of the head, the length of the handle, and the types of jobs you’ll be doing. If you are smaller or weaker, you don’t want a large #2 blade because a full shovel will be very heavy. You may prefer a #1 or a #0. If you’re a tall person, the last thing you’ll want is a short, stumpy shovel. You want the handle length to match your frame. Speaking of handles, I know fiberglass is all the rage, but a well maintained wood handle will probably serve you better. They are less prone to breakage and they can be easily be replaced in the event that you do manage to break it. Finally, consider the tasks you’ll be doing. If you have a small garden, you won’t want a huge shovel blade. Stirrup hoes are perfect for removing weeds from the garden. They certainly can save your back from bending over again and again, plucking out the weeds individually. With both sides being sharp, you can push or pull to cut larger weeds at the surface and pull up tiny fragile weed seedlings. I suggest two rakes for your garden shed. The first is specifically for the garden. Instead of spending an arm and a leg for a fancy garden rake, get a children’s rake with metal tines. This will allow you to rake out between garden rows. The other rake I suggest is a big lawn rake. The bigger the better. I like my 30″ one and I prefer plastic tines. They tend to be gentler on the lawn. Whether you’re moving shrubs around the yard, hauling manure and compost, or disposing of garden debris, you need a good wheelbarrow. Steel wheelbarrows are sturdier, but more expensive. Plastic can be fragile, but they’re cheaper and often deeper. Two wheels or one? Two wheels offer more stability (especially when filling the wheelbarrow). One wheel offers more maneuvering ability. I have two wheelbarrows because I found it too hard to pick one that could handle all the things I threw at it. First, a metal 2 cubic foot wheelbarrow with a single air-filled wheel and the traditional two wooden handles for moving large, heavy items. Second, a plastic 4 cubic foot wheelbarrow with two hard plastic wheels and a metal bar handle for moving garden materials around. Do not skimp here. I have gone through many cheap hoses and I promise you, it’s not worth it. Invest in a good hose. Avoid those gimmick hoses like the expandable hoses and coil hoses (seriously, do you know how easy it is to get caught up with all those coils???). Choose a rubber or rubber blend with brass fittings. I also suggest 3/4″ over 1/2″ because the repair parts are more common and therefore less expensive. Everyone has been going on an on about those Badger Gloves. I haven’t tried them myself, but they look funky to me. Maybe they are the best thing to ever happen to gardening. I’ll let you decide. Personally, I prefer a nice set of stretchy gloves that are somewhat waterproof on the palms. The lighter-weight the better. My pail actually isn’t a pail, I think it’s suppose to be a bucket for putting drinks in during a party. I got it for about $5 in the RiteAid clearance section. I managed to track it down on Amazon for you (here), but I’d check out your local RiteAid if you have one because it might be cheaper. The size holds a lot of weeds, but it’s not unmanageable. Plus, mine is lime green which makes it easy to spot when I’ve abandoned it somewhere in the garden and I can’t remember where. Some trowels come with a grippy handle and I really prefer these ones. I’m a bare handed gardener most of the time (you know, connecting with the earth and all) and the smooth handled ones can cause blisters. You’ll also want a curved handle. I don’t know why those flat ones are on the market. They’re basically useless. You go to scoop up a mound of soil and it slides right off. It doesn’t need to be a big curve, but enough to cup the dirt. Folding options and ones with teeth on the sides are a waste of money in my opinion. Keep it simple and cheaper. This one is perfect and it’s only $5. 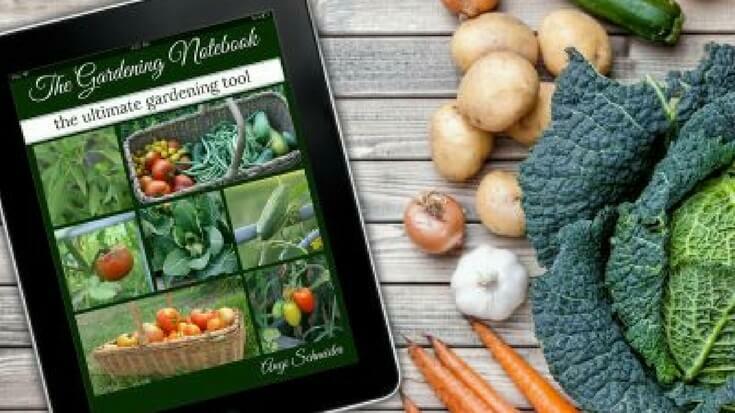 If you are like me and you love being super-organized in the garden (or maybe you need help with your garden organizational skills), The Gardening Notebook is perfect for you. It’s one of those resources you purchase once and it just gets better year after year. I keep mine in a cheap 2″ binder in my garden shed so I can easily find it when needed — unlike my seed stash that I’ve misplaced several times this year. I’m generally a no-dig girl because I choose to use a Back to Eden technique, but sometimes a rototiller still comes in handy. It’s almost a must-have item to grow root vegetables here in Maine. If you’re working in an established garden you can often go with a cheaper and more lightweight front tine tiller. If you have really hard soil or you’re establishing a new garden, you may need a heavier rear tine tiller. I’m not going to lie, I invested in a drip irrigation system and I have a love/hate relationship with it. I like that it cuts down water consumption in the garden as well as the ease of use (just turn on the spigot, wait a bit, turn it off). What I don’t love is that has to be set up every spring, which requires advanced plant planning, and it needs to be pulled up every fall so water doesn’t freeze in the lines during the winter. Sometimes you have a second crop going into the ground in the summer and working around the hose can be a pain. I was gifted a wheel hoe and it sat in the shed for a few years before I finally took the time to Google it and figure out what it’s used for. It’s actually handy for a lot of jobs, such as creating furrows and hills for crops, loosening compacted soil, and stripping weeds around delicate plants. Sort of a Swiss Army Tool for gardens. It turns out they can be very pricey for a manual tool. Thankfully they are a common tool in New England so you might find one hiding in the back of a barn, long forgotten. As we discussed in Composting Guide for Beginners, there are several types of composters available if you want to upgrade from a standard pile. Capacity is a big part of in the decision regarding which one to choose. Choosing a greenhouse can be difficult. There are a lot of things to consider so the greenhouse suits your needs. It’s too much to fit in here, but you can find out everything you need to know right here. When you’re going to be frequently using a tool, a simple spritz under the hose when you’re done with it will suffice for maintenance. If it will be a while before you use the tool again, it’s wise to hose and try the tool before putting it away or clean it off with a stiff wire brush. Mineral spirits can remove gunk that may have accumulated on your garden supplies. Always hang your tools up when they aren’t in use. Yes, if you came by my homestead you would see rakes and shovels propped up all over the place. Do as I say, not as I do. Moisture from the ground can shorten the lifespan of your supplies and it increases the risk of rust. A whetstone can be used to sharpen pruning sheers, the edges of shovels, and the sides of trowels. I like to sharpen my tools in the spring when I get into gardening gear but ground is still frozen and again in the fall just before the big harvest happens. With proper care, your garden supplies should last your lifetime. If you find old supplies at a yard sale or someone offers you some of their old tools, a little TLC can easily restore them. 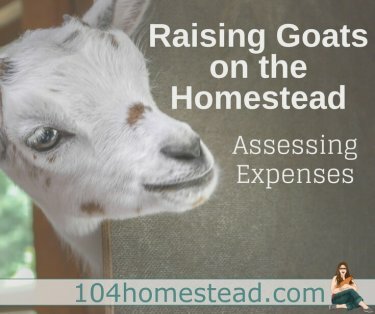 Garden supplies are a great investment for your homestead. We open the end of our drip system and let the water drain from it. This way we don’t need to physically remove it. Have you ever tried 1/4 inch drip tubing? It’s much, much easier to work around.